When you hire me, you get my 10+ years of full-time AdWords experience at your disposal. You also get the benefit of my 25 previous years of professional sales, marketing and technical consulting experience with the technology and marketing powerhouse, Hewlett-Packard. I am proud to offer this unique breadth and depth of advertising experience to help your business grow through successful PPC advertising. 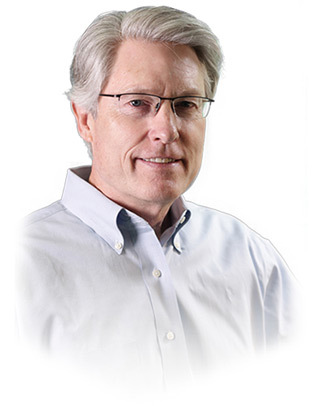 John McLellan has over 30 years of experience in organizational leadership, strategic planning, sales and marketing program development and project management, for manufacturing, telecommunications and high tech organizations. He is the founder and president of Search 2 Sales, LLC, a marketing and advertising consulting firm, which helps small & medium-sized businesses effectively implement internet advertising & marketing programs to increase sales and develop lasting customer relationships. Prior to founding Search 2 Sales, John served the Hewlett-Packard Company for over 25 years in a variety of sales and leadership positions across many of HP’s business segments. He was instrumental in the development of HP’s Major Account Program where he was Global Account Manager for the GTE / Verizon account and was one of the founding members of HP’s Solutions Selling Organization, where he coordinated selling efforts of hardware, software and consulting services. He was the Principal Consultant on projects which led to over $200M in consulting services to the telecommunications industry during the implementation of the highly controversial Telecom Act of 1996, which resulted in the Deregulation of local telephone services. John holds a Bachelor of Science degree in Electrical Engineering from Florida Tech with graduate studies at Rollins College in Orlando, FL. During his tenure at Hewlett-Packard he has participated in several excellent training and development programs from such prestigious organizations a The Stephan Covey Leadership Center, Siebel e-Business, Miller Heiman and Wilson Learning Inc. Becoming an expert in online advertising, particularly PPC, was a natural evolution of John’s formal education as an engineer and his professional career in sales, marketing and technical consulting. John holds dual citizenship; US and Canada. He lives in Dallas, TX.